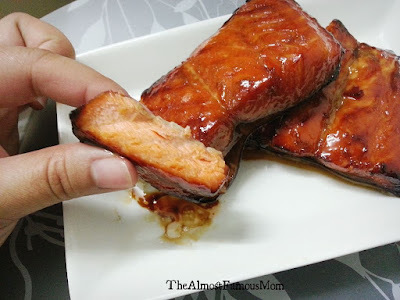 Salmon is a very versatile fish that you can simply cook it with any way you like and it goes well almost with any sauces. Unfortunately, I'm not a big fan of salmon after giving birth to my darling boy...somehow I just cannot stand the smell of salmon (you will know the smell if you hate salmon too!..LOL). 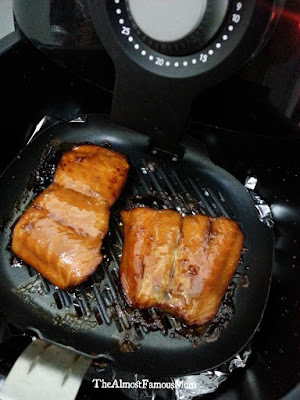 This does not stop me from cooking salmon for my family because it is one my family's favorite fish dish. So I'm trying all sort of way to marinade the fish so that the "smell" will be masked by the sauces...Haha! So here's the recipe for Air-Grilled Honey-Glazed Salmon. 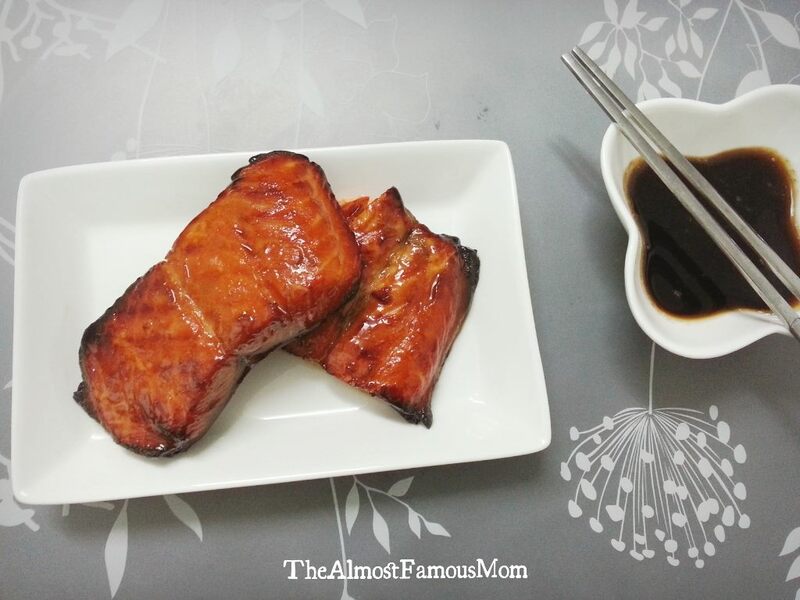 This is a no-fuss, no-mess, easy way marinade salmon fillets. 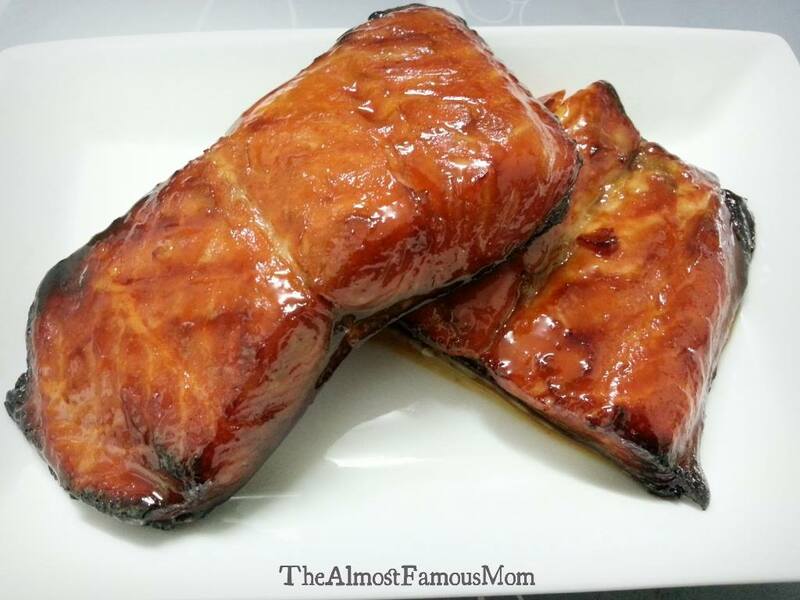 And you will get a wonderfully flavored salmon fillets. 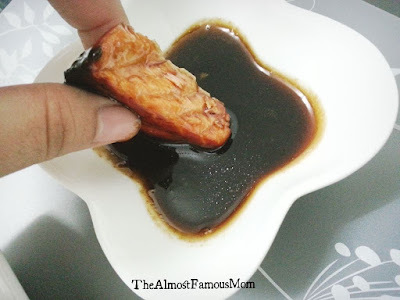 Mix honey, soy sauce, Hon Mirin (sweet rice wine) and water together. 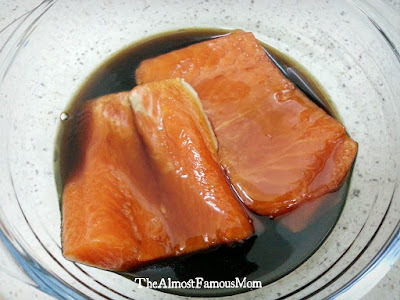 Pour half (or some) of the mixture in a separate bowl, set aside as this will be used as sauce serve with salmon. 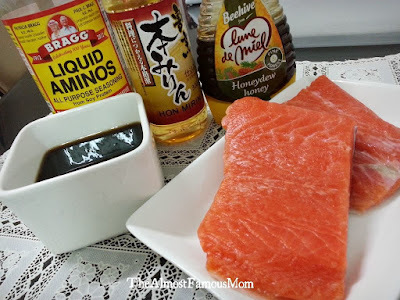 Put together the salmon and the marinade mixture, let it marinate for at least 2 hours. 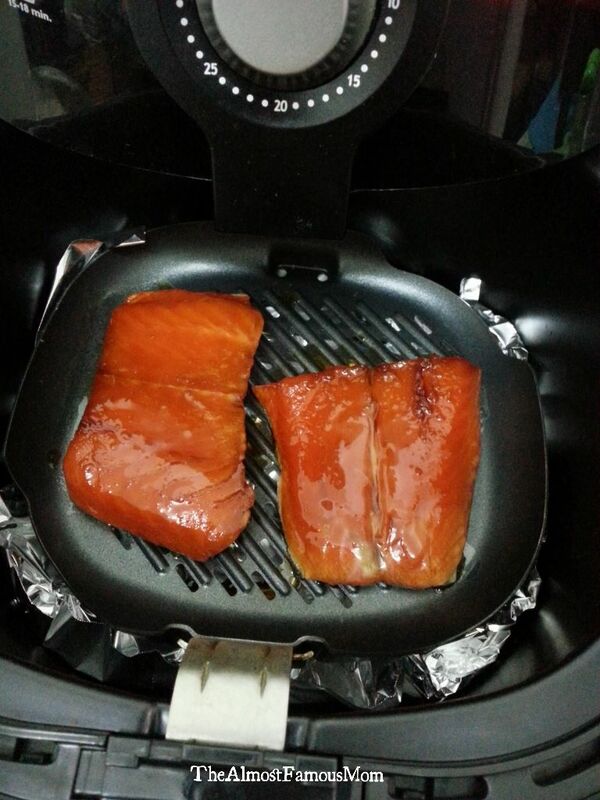 Pre-heat the Airfryer at 180°C. Air-grilled the salmon for 8 minutes, flip over halfway and continue with additional 5 minutes. Baste the salmon with the marinade mixture every 3 minutes. To prepare the sauce, pour the remaining sauce in a pan and let it simmer for 1 minutes. Serve with salmon.